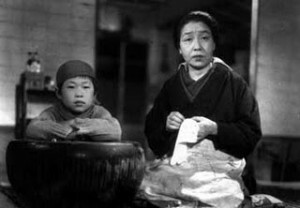 Plot: In post-war Japan, a man brings a lost boy to his tenement. No one wants to take the child for even one night; finally, a sour widow, Tané, does. The next day, complaining, she takes the boy to his neighborhood and finds his father has gone to Tokyo; it seems the boy has been abandoned.